Left-side blade placement provides clear line of sight for right-handed cuts, and a rigid motor housing eliminates blade wobble for accurate cuts every time. And independent testing proves that the worm drive-gear design lasts four times longer than any conventional design. Longer lasting, great sightlines for many users, more torque, accuracy and power – these are top advantages of the worm-drive power saw. The main drawback is the weight issue. What can be done about that? 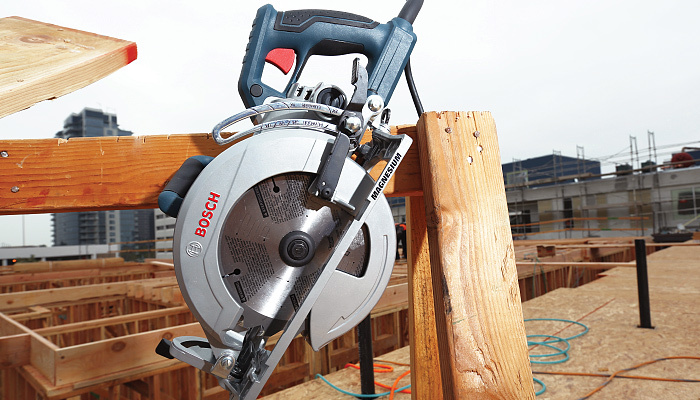 Recently, Bosch introduced the CSW41 worm drive saw that reduced the weight but kept the torque, coming in at only 13.2 pounds. This is thanks to its lightweight magnesium construction – which helps to provide all the benefits of worm drives but gives the user comfort during long-lasting jobs. In addition, the magnesium construction helps to effectively dissipate heat, which provides longer tool life. 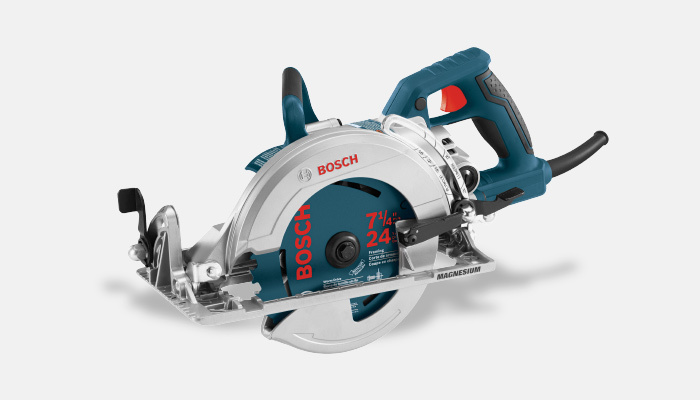 "I would definitely recommend the CSW41 Bosch worm drive saw, especially to the Bosch enthusiasts out there or to anyone trying to lighten the load, whether for the sake of their arms or for doing a remote job by boat or plane. A couple of pounds off a circular saw may mean being able to bring along another tool." 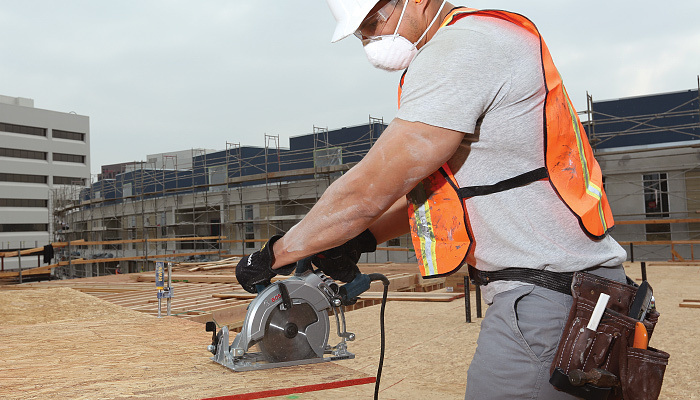 For more information on the Bosch CSW41 or any of Bosch's circular saws (including sidewinders), be sure to visit the circular saw page at Bosch.